Walkers in the Yorkshire Dales are being warned a river crossing on the Dales Way will be closed for repairs. The historic suspension bridge over the River Wharfe at Hebden will be out of action from next week. Diversions will be set up for walkers on the long-distance route between Burnsall and Grassington while contractors working for the Yorkshire Dales National Park Authority carry out vital repairs to the bridge. Phil Richards, the authority’s area ranger for Wharfedale and Littondale, said: “The bridge is unique in its design and it is an important crossing on the River Wharfe as well as being part of the Dales Way footpath. “Its construction in the 1880s allowed local people from Hebden, Thorpe and Burnsall access between the villages, which was not always possible before because the nearby stepping stones would frequently be submerged under floodwater. “Last year the timber decking boards and hand rails were replaced and these latest repairs are expected to take around 10 days, with the bridge being closed from 14 September. “The main focus will be concentrated on repairing and restoring the metalwork, including welding the lattice work that forms the side structure of the bridge. The metal, including the four main support pillars, will also be given a fresh coat of paint. 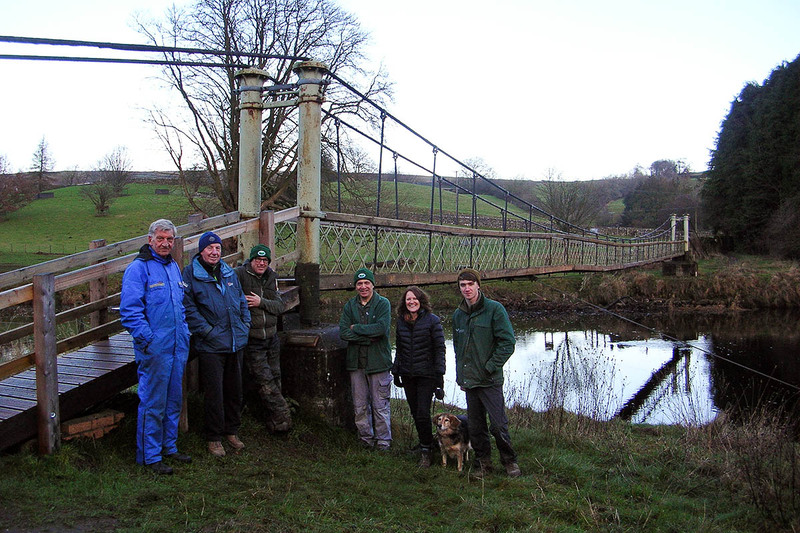 Nick Cotton, the authority’s member champion for recreation management, said: “There are 706 bridges in the national park ranging from a simple sleeper bridge to the one at Hebden. “Indeed Hebden Suspension Bridge is one of 30 significant bridges identified in a recent survey conducted by North Yorkshire County Council needing maintenance work. The bridges have a combined asset value of nearly £4m and provide important links in the public rights of way network. “Each year the YDNPA carries out maintenance work to help keep them in as good a condition as is possible but this is already proving to be difficult in the current financial climate. “However, it would be nothing like the potential strain on resources of both the county council and the national park authority if one collapsed, was washed away or just came to the end of its natural lifespan. Does anyone know if the bridge has reopened?